Whilst I like The Swarm, it's run one train for quite alot of this past season on had some dreadful queues. That being said, it's glorious at summer nights. Yes one train is frustrating, I hate when your lucky enough to be at a park when it's quieter but they run everything with one train, so the queues are long anyway, in April and October Fright Nights the maximum I queued for the swarm was 20 minutes, so pretty lucky! I know i'm sounding dumb here, but, why is their a "splash zone" by the fire engine? Because it sometimes sprays water out of the front. However, like most of the effects it's very hit and miss. Recently, I and some other enthusiasts have noticed something odd. 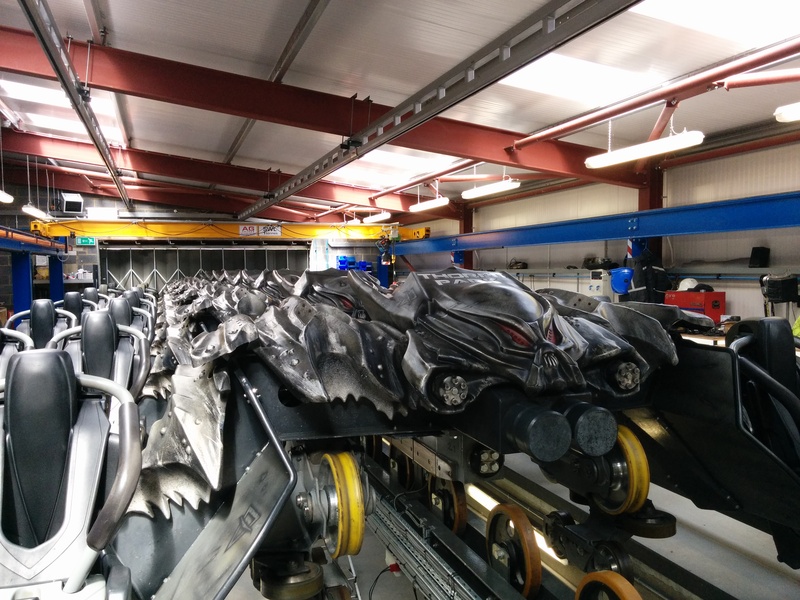 I've been unable to find the video again, but it showed The Swarm's trains in strip down and the back two rows were facing forward. Also, they released another screenshot today of what are presumed to be the chassis' (if I'm wrong I mean the main train bits the seats are attached to) of the back two rows. Next year could we not Brave It Backwards? Or has this always been done? I hope they turn them around again, back row when it went forwards was insane. It does look likely that brave it backwards has now left The Swarm. There are no references to it on the mobile version of Thorpe Parks website. I hope they have moved it to all forwards. Always wondered what backrow forward would be like! Always wondered what backrow forward would be like! Yeah could be pretty fast and thrilling I only know one person who's ridden it backwards and they gave it a distinct 'Meh'. It certainly would be an interesting decision from Thorpe if they are making The Swarm completely forwards again. I can only think that the backwards option has been decreasing in popularity therefore they've decided it's not worth keeping. I would have thought having an additional two rows on each train now will help the throughput - albeit only a little, but even a little on each train will make a difference to queue-times. I was always in two minds about the backwards option. At first I found it a very odd sensation, especially going up the lift hill. I liked it because it was a different experience, but at the same time you didn't get the experience of the near misses as you couldn't see them coming which kind of took away from the ride a little. I found Brave it Backwards to be very underwhelming. As Lakey says you can't see what's coming so it loses some of the experience that you get from going forwards. 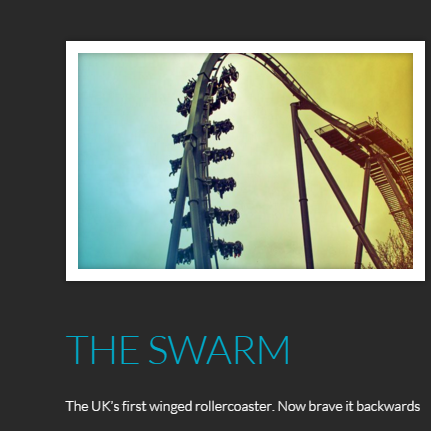 If the back two rows are being turned forwards again I'll be sure to try back row Swarm on my next visit to Thorpe as I never rode it before they bought in B.I.B and I'd love to find out just how intense it is. Last edited by Owen on Thu Jan 28, 2016 8:28 pm, edited 1 time in total. I've ridden the back row both forwards and backwards, as mentioned before I found the back row forwards pretty much the same as any other seat, unlike nemesis for instance, where it makes a big difference for me. So I'm also uneasy about this rumour, riding it backwards is certainly a different sensation and it would be a shame to lose it completely, especially as the loss is not made up with a gain, in my opinion! I have also ridden the back row both forwards and backwards, and I would be disappointed if they changed them again. I didn't find forwards at the back to differ in experience compared to the other seats. Personally I love going backwards and feeling the near misses whizz above your head, and you actually have time to admire what you have just missed. I'm not sure from Thorpe's POV why they would make this decision. It gives people an extra ride experience, and that worlds first title we all know they love and adore. 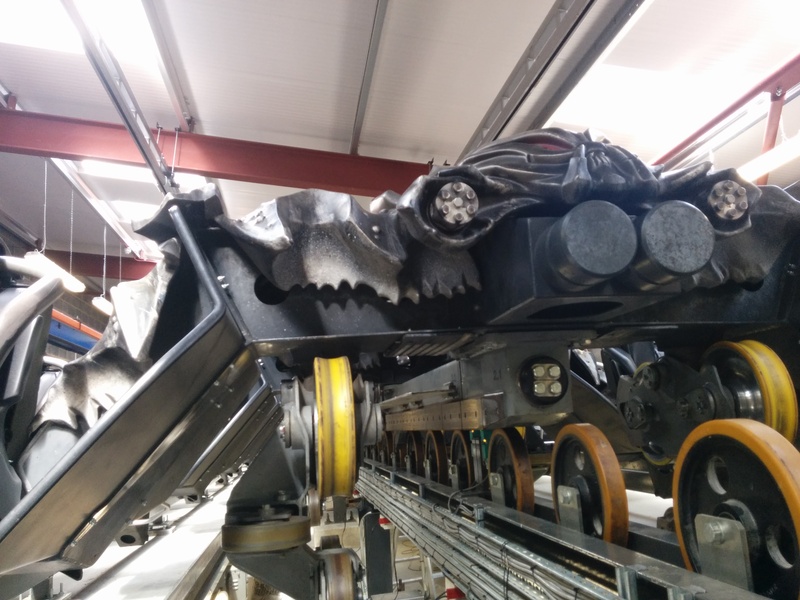 This tweet by Thorpe Park this morning seems to even further hint towards Brave It Backwards being removed for the coming season. I loved back row Swarm facing forwards. Watching the train peel away into the first drop / inversion was a sight to behold. The inner geek in me loves this! I've also ridden back row forwards and backwards and despite liking both for different reasons, I'll welcome the return to forwards on the back if this is true. Especially as I felt last year the backwards feeling began to feel bumpy and not as smooth as the rest of the train and also before they were converted.